February 16, 2011 /Photography News/ The 'Harry Potter' actor is reportedly looking to extend his repertoire into the field of comedy by signing up to play the lead in Welsh screenwriter Christopher Monger’s new movie, 'The Amateur Photographer'. Set in a New England mill town during the 1970s, the film follows a young man who discovers his passion for photography after the citizens of a sleepy New England mill town ask him to photograph their most intimate moments. According to Variety, he "battles local authorities while bringing a bit of a velvet revolution to the town." 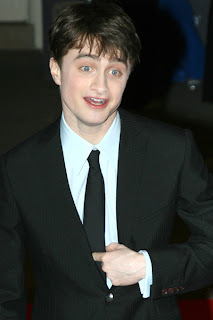 The 21-year-old actor will next be seen on cinema screens in 'Harry Potter and the Deathly Hallows Part 2' this summer. He will also appear in the thriller 'The Woman in Blank'. Whoa, he has a passion for photography? That's something new to me.